Last week, Tesla announced plans to offer a new mid-range version of its Model 3 sedan. While the long-range dual-motor Model 3 starts at $54,200 including destination, the mid-range rear-drive Model 3 was priced at $46,200. At least it was for a few days. Reuters reports that less than a week after Tesla announced the mid-range Model 3, it raised the price to $47,200, an increase of $1,000. If you check the online configurator, the price change is already live. And while it’s not a major price hike, it’s still odd to change the price of a car only a few days after it goes on sale. The mid-range Model 3 offers an estimated range of 260 miles and can run from 0-60 mph in a claimed 5.6 seconds. It also shouldn’t be confused with the long-promised $35,000 Model 3 that has yet to appear. Currently, Tesla says that version won’t be available for another four to six months. 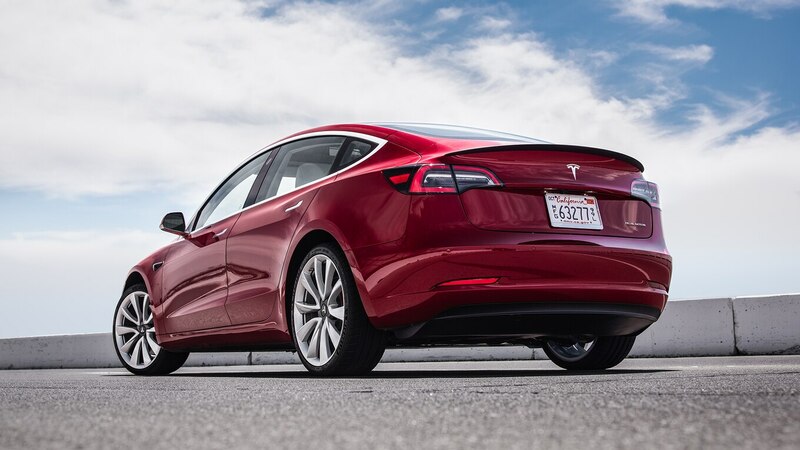 Tesla has, however, introduced a performance version of the long-range Model 3. Starting at $65,200, the Model 3 Performance Dual Motor makes a combined 450 hp and 471 lb-ft of torque. In our testing, it hit 60 mph in 3.2 seconds and ran the quarter-mile in 11.8 seconds. Despite running from 0-60 mph more than a second quicker than the non-Performance dual-motor Model 3, estimated range is still 310 miles on a single charge. The post Tesla Raises Price of Mid-Range Model 3 appeared first on Motor Trend.